Cranbrook, BC (August 29, 2018) -- With dozens of vendors, local entertainers and music, the second annual Cranbrook Fall Festival is set for Saturday, September 8 at Rotary Park and 1st Street South beginning at 10am. The festival will be a creative whirlwind of international, national and local performers celebrating the advent of fall entertaining audiences of thousands throughout the day and into the evening. “We will be taking over 10th Avenue and 1st St with over a hundred vendors, while buskers that hail from coast to coast entertain the crowds. Fall brings a change in weather, but also a whole new vibrancy to the community. Why not celebrate the change in weather with some flair!? 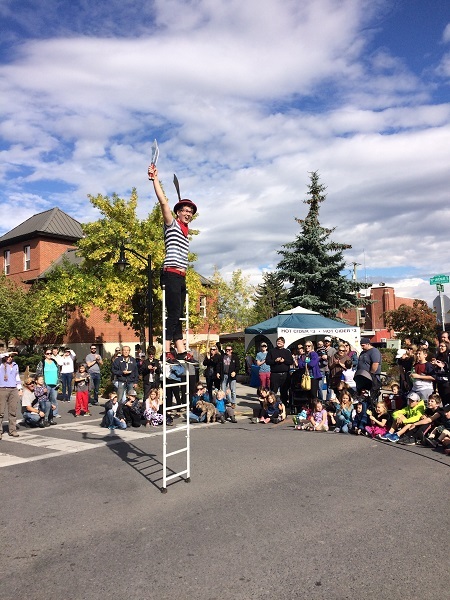 We will have magicians, high flying aerial busking, and other feats of on street amazement for the crowds to enjoy,” said Paul Heywood, Events and Marketing Manager for the City of Cranbrook. Visitors can expect a whirlwind of local, national and international buskers performing, entertaining and thrilling audiences with their magic, aerial stunts, and other feats of amazement. 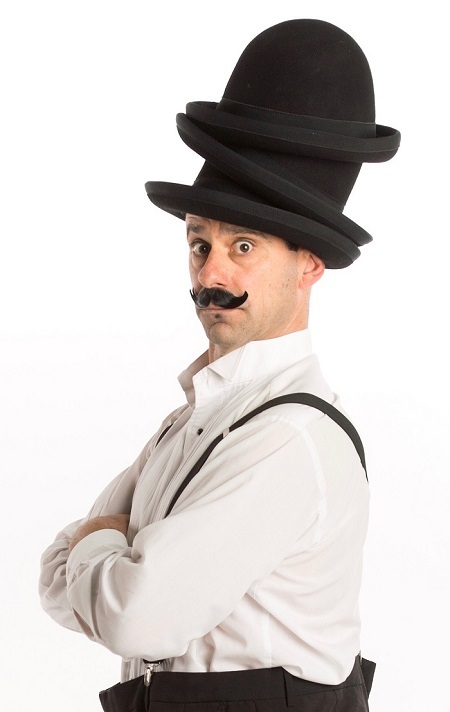 Some of the specialties of the touring buskers will include juggling, escape artistry, an acrobatic ladder act, illusionist and a whips master including Tianna the Traveller. 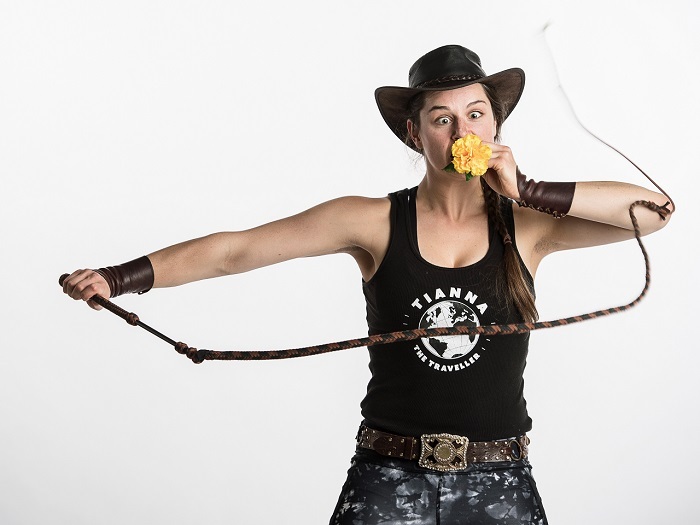 Tianna is an international stunt woman ready to face adventure. The show includes whip cracking, unexpected balances, and a world class escape stunt. “I’m thrilled to be back in Cranbrook to see what adventures this year’s festival has in store,” she says. Local non-profit group JCI International is also presenting the second annual P.U.B. Stop, from 2pm to 11pm in the heart of Rotary Park. Admission to P.U.B. will be $10.00 per person at the gate with children 12 and under free (with an accompanying adult). Space is limited to 1000 participants – so please come early. Three local breweries will be participating, including the likes of Fernie Brewing, Fisher Peak Brewing, and Overtime Beer Works, as they show off their favourite brews to Cranbrook residents for one evening of showcasing and fine beer tasting. The P.U.B. Stop will also be featuring a number of local food trucks including Mama’s Dumplings, Street Dogs and The Grill Next Door. "JCI Kootenay is very excited to once again present Pop-Up Beer Stop amidst all the excitement from the fall festival and buskers from all over the world," said Ryan Wilhelm, JCI Committee Head for Pop-Up Beer Stop. Edmonton prairie rockers ‘Scenic Route to Alaska’, Cranbrook folk duo ‘Clayton & Joelle,’ rock and country band ‘East West Connection,’ and Medicine Hat Duo ‘Mahoney’ will all be performing at the Rotary Park gazebo during the P.U.B. stop festivities. Buskers will also be performing on the stage during the P.U.B. event. The P.U.B. stop is proudly sponsored by Alpine Toyota, the East Kootenay Community Credit Union and Hryciuk Gallinger.